For as long as I can remember, I have been uncomfortable and/or unhappy with some part of “me”. This past year has been a year of revelations for me. As I approach my mid-forties I have realized that to dwell in the past or daydream in the future means that you are missing out on the present. I’ve decided it’s high time to love myself. Part of loving myself was giving my body the proper nutrition it needed and as a (positive) side effect I began to lose weight. As I began to feel better inside and out, my self esteem began to rise. Positive self body image is all up to you. I know I am still (very) overweight but I know I am the best “me” I can be right at this moment. So when I was asked to join the Frockstar™ program I was intrigued. I’ve always loved how my friends have looked in Karina dresses, and I whole heartedly agree with the Frockstar™ minfesto… so I am all in! I love that Karina creates hand made fashion for the Frockstar lifestyle. They are vintage-inspired and inspire self-love. They fit well, travel well (I’ve heard they don’t wrinkle!) and make you feel beautiful. I can’t wait to share the new spring patterns with you in the upcoming weeks. I hope they help you find the Frockstar in YOU! Glad you joined the Frockstar program. Looks like some great dresses. I look forward in seeing what you have to share. 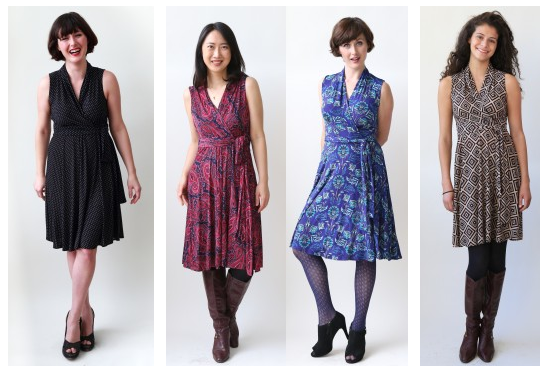 Love the fun qualities of a Frockstar and congratulations on your newest venture! I definitely want to make it a point to wear more dresses this year.